Full service music store. 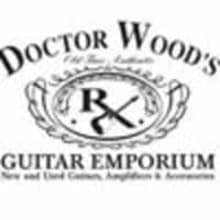 New and used Electric and Acoustic Guitars, Basses, Mandolins. Ukes. Banjos, Amps. Drums. Brass. Keyboards. Violins. Harmonicas. Voice. Lessons. (We've got a bunch of great teachers!) Rentals. Repairs. We have been in business for over 23 years here in Fox River Grove, Illinois and have many delighted customers. Located approximately forty miles northwest of downtown Chicago.